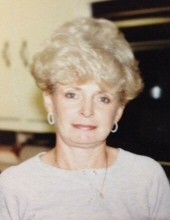 Mary Eleanor “Boots” Rogers passed away peacefully on April 6, 2019, at Asbury Hospice House. Visitation will be from 2 – 3:15 p.m. on Thursday, April 11, 2019 at Moore Funeral Home in Hattiesburg, followed by a memorial service at 3:30 p.m.
She was preceded in death by her father, Oraish Parker, her mother Ruth Sumrall and her husband, Donald R. Rogers. She is survived by her son Kevin B. Rogers, her daughter-in-law, Ann Williams, and her granddaughter, Abbie Rogers. She is also survived by her daughter Paige Brocato and son-in-law, Michael S. Brocato. Our mom was a very dovoted Christian who loved her Lord. She also found joy as a faithful member of Lincoln Road Baptist Church where she also taught a youth Sunday School class. She and her husband enjoyed raising and showing AKC Miniature Poodles. Mom was loved by everyone she met and was a “Jack of all trades”. She was an avid reader of all genres, who later became an accomplished Author of over 50 Romance Novels. Mom was the backbone of her street, where everyone looked to her for care and advice. A special thanks to the doctors and the staff at Forrest General Hospital, Bedford Care and Asbury Hospice House. To send flowers or a remembrance gift to the family of Mary Eleanor "Boots" Rogers, please visit our Tribute Store. "Email Address" would like to share the life celebration of Mary Eleanor "Boots" Rogers. Click on the "link" to go to share a favorite memory or leave a condolence message for the family.